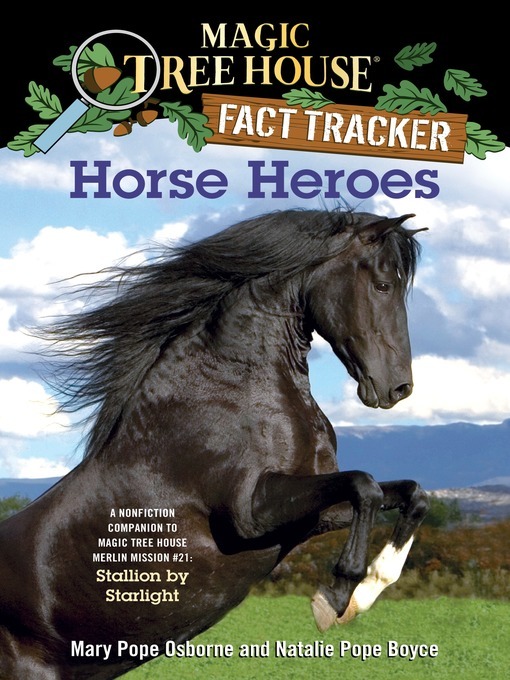 When Jack and Annie got back from their adventure in Magic Tree House #49:Stallion at Starlight, they had lots of questions. Why did people tame horses? What jobs do horses have today? Why was Alexander the Great's horse so famous? What are some other famous horses in history? Find out the answers to these questions and more as Jack and Annie track the facts. Filled with up-to-date information, photos, illustrations, and fun tidbits from Jack and Annie, the Magic Tree House Fact Trackers are the perfect way for kids to find out more about the topics they discovered in their favorite Magic Tree House adventures.